Hip pain and knee pain are a part of life for many people. Cartilage in the knees, hip or lower back can wear down due to overuse and lead to discomfort or arthritis. Sometimes just a straight-up injury can cause pain. While some cases are so severe that they could require surgery to repair an injury, there are many situations in which working with a physical therapist can help overcome these pains. Achieve Therapy has helped many patients overcome knee or hip pain, and we’d be happy to work with you to help you achieve pain relief and get back to a normal routine. Acute: This is the most intense type of knee pain, and it usually occurs in the first week after an injury. 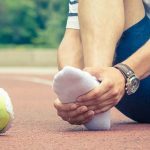 If you’re experiencing acute pain, your doctor or physical therapist will simply recommend rest and isolation of the knee for at least a week to let it heal. If you’re ready to kick knee and hip pain to the curb, contact Achieve Therapy today to schedule an appointment with one of our physical therapists.